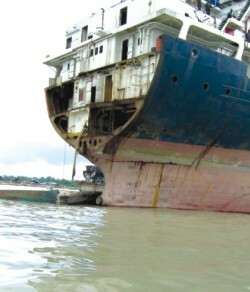 A cargo ship left on the shoreline by the cyclone in 1965 brought ship-breaking to Bangladesh. But where workers have little training and safety measures are lacking, accidents are common. With around 25 workers killed and several dozens injured in accidents last year, the human cost of the industry has proven to be very high.